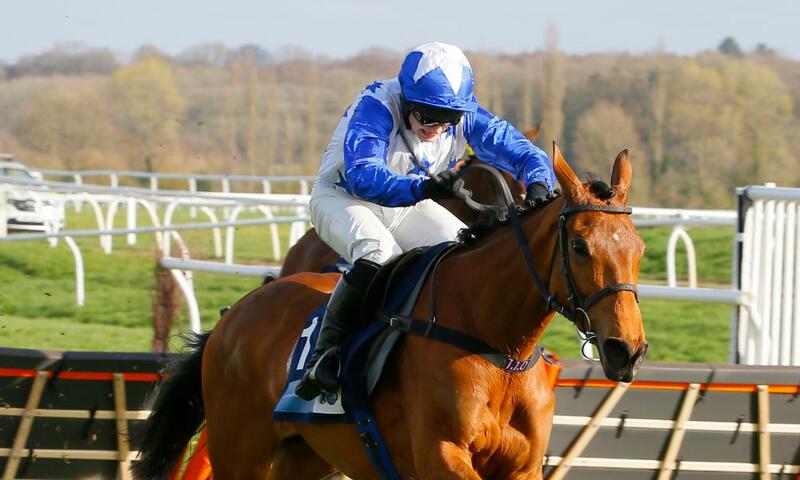 On Saturday at Newbury Annie Mc ran out the eight-length winner of the Grade 2 Mares’ National Hunt Novices’ Handicap Hurdle Final for Jonjo O’Neill, Jonjo O’Neill Jnr and the Coral Champions Club. The daughter of Mahler was held up off the pace before making eye-catching headway to three out and clearing away to win eased down. She was runner-up in both her starts between the flags for handler Sean Doyle before being purchased for £20,000 at the Cheltenham May Sale last year by Tom Malone. Earlier on the card The Knot Is Tied put up a game display under Richard Johnson to land the competitive Juvenile Handicap Hurdle for Neil King and owners Ken Lawrence and Roy Mousley. He was purchased by Matt Coleman for £75,000 from Tim Easterby at last year’s November Sale. North of the border Kelso hosted one of their biggest racedays of the season and Some Chaos landed the Handicap Chase for Michael Scudamore the son of Brian Boru was sold by Brian Hamilton for £20,000 at the 2016 May Sale after winning his Maiden at Necarne. At Bangor Copper Gone West drew right away from her rivals to land the Novice Hurdle on the card for Tim Vaughan and Paul and Louise Bowtell. The classy daughter of Westerner realised £100,000 at the 2017 April Sale after bolting up in her Maiden point-to-point for Terrence O’Brien. Yesterday at Exeter Eur Gone West won as he liked by ten lengths in the Handicap Hurdle for David Pipe. The son of Westerner was placed the 3rd on his only start between the flags before being snapped up by Tom Malone for £60,000 in May 2017. In the concluding bumper at the West Country venue Pileon made his first start for Philip Hobbs a winning one in the colours of Tim Syder and Martin St Quinton. The son of Yeats scored comfortably in the hands of Richard Johnson and looks a smart recruit going forward. He was sold by Tom Keating for £60,000 at the 2018 December Sale.